I often get e-mails or phone calls from friends and blog followers, asking for advice on wine choices, or whether I have tried a certain wine that is being sold for a low price on one of those bargain wine websites. This week, I got a notice on my cellphone, as a Facebook notice, that I had been tagged in a comment from one of my friends. The message read, “Charcuterie.... Missing Madrid... Jim Newcomb.... Where are you when we need you? I can't decide Wine Flight". Well, I don’t know what the wine flight choices were, but I can certainly make some recommendations. The first course of action is to understand what “charcuterie” is. Then we can use that information to determine what types of wines would work best. 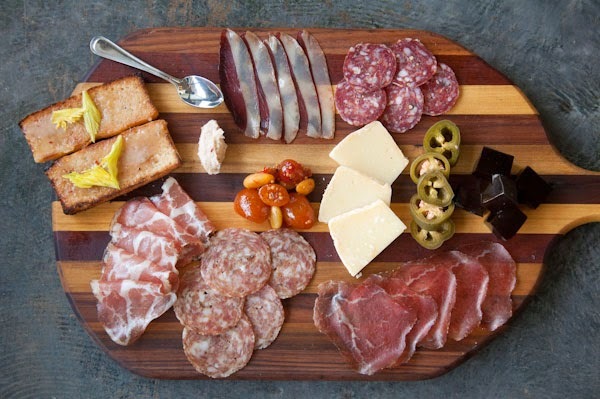 Charcuterie is basically cured meat. This meat can be salted, smoked, or brined. The word is French, but its’ origins come from the Latin for “caro” or meat, and “coctus”, or cooked. Prior to the advent of refrigeration, the idea was to preserve the stock of meat over the course of many months. Until the use of nitrates for preservation, salt was the preservative of choice. The meat is usually pork, but can be made from any type of protein (seafood, poultry, beef, or game meats). 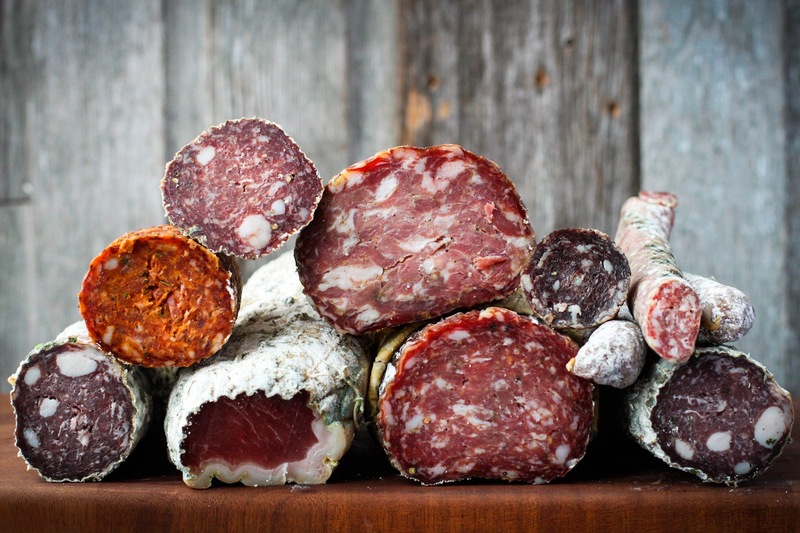 The most common type of charcuterie is “forcemeat”. Forcemeat is a mixture of ground meat and fat, along with a variety of spices. The meat can be coarse, or pureed into a smooth emulsion. The most common forcemeats are salami (brined, salted or dry cured) or sausages (raw meat in casings that need to be cooked, usually by boiling, grilling or smoking). 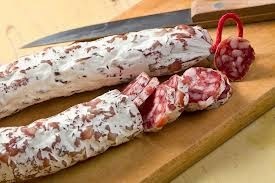 Another style of charcuterie is “mousseline”. In this style the meat is much lighter in texture, and made from leaner cuts of meat. The meat is usually blended with cream or eggs, adding to the mousse-like texture of the final product. 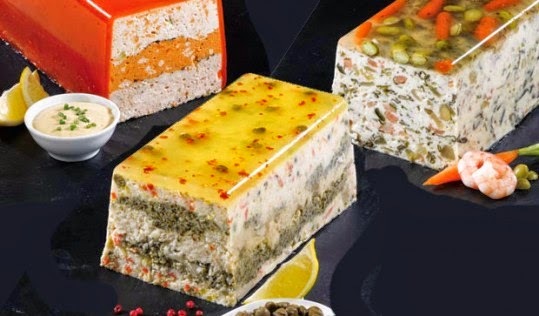 The most common would be Pâté and terrines. 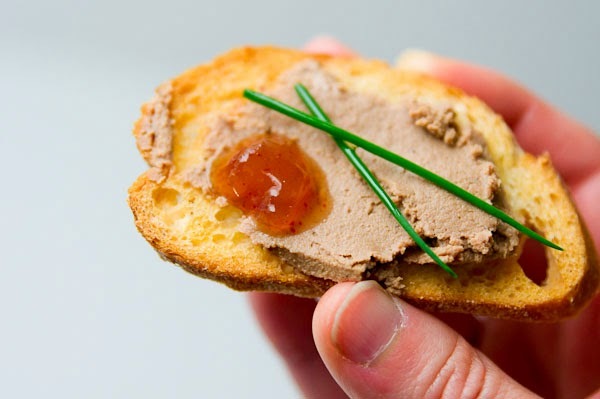 Pâté is considered the finer textured of the two, and usually is made from liver. There are many types of charcuterie, and this article is not meant to cover each style or production process. A basic understanding of what charcuterie generally is, helps us to determine what the best style of wines might be for pairing. There are a couple things that we find in common for charcuterie: salt, and fat. The additional variable is the curing process, spices used, proteins used, and the curing process involved. Let’s look at salt first. Salty foods need a wine that can contrast, or counteract the saltiness. This is accomplished with sweet, acidic, or sparkling wines. 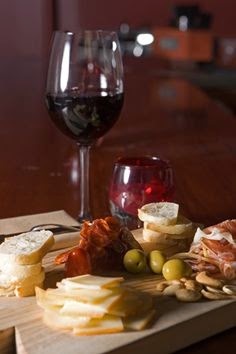 The salter the charcuterie, the sweeter the wine need to be. Now, to be clear, we aren’t looking to pair a dessert wine with our salami, all we need is a touch of residual sugar in the wine. In this case, the most likely candidates would be Riesling for white, and Beaujolais (Gamay) for red. Our second common component is fat. Fat will coat your mouth, so we need something that will cleanse the palate. This can be accomplished either with a sparkling wine, or an acidic wine. I find that most sparkling wines have a tough time holding up to some of the “heavier” flavors of pork or beef based charcuterie, so usually avoid the sparkling route (but it can be very nice with lighter pâtés and terrines). 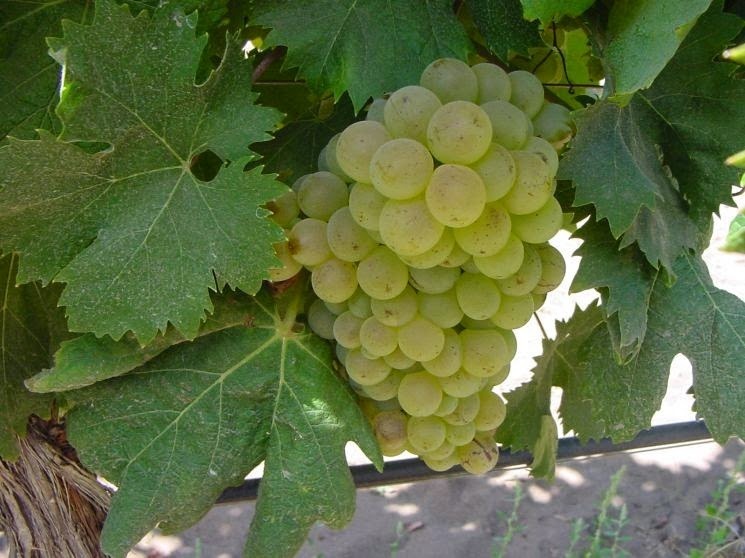 The choice to cover the most bases would be higher acid grape varieties. In this case, our previous two choices of Beaujolais and Riesling would work, but we can add a couple more choices: Chenin Blanc and Barbera. We now have four wine choices that would work with most any type of charcuterie. Add some spicy components to the charcuterie, and you might also consider Gewurztraminer, or even a blend from Cotes du Rhone. These are by no means the only wine choices. If you know your wine varieties, and their general profile, you can experiment in good faith. Also remember that local wines, usually work with the local products. So, try to determine where the style of charcuterie was developed, then look for wines from that region that might fit the bill. But most of all, don’t worry about it. Experiment, and have fun! The decision had been made over a month ago...our next wine pairing dinner would be in Portugal. 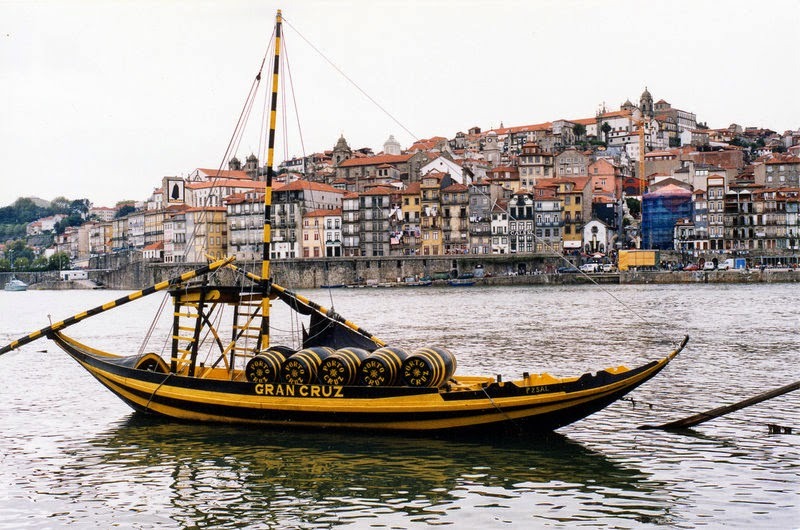 Well, actually traveling to Portugal wasn't in the budget, so why not bring the tastes of Portugal to our local dinner table, then pair some Portuguese wines with those courses? Followers of this blog know that we have a small gourmet group. About every three months, we gather together a group of eight people to learn about traditional cuisine, cooking techniques, then create those dishes for an evening of food, fun, and wine. This evening, we created a four course (maybe five, if you include both appetizers). The table was set with a Mediterranean theme, and our hosts had found a channel on Spotify.com that played Portuguese music. They had strung lights across their back deck, and put tea candles on the table. The mood was set, and the evening temperatures had cooled to a comfortable degree versus the daytime heat and humidity. Our first appetizer was Peixinhos da Horta (batter fried green beans). The batter was made with white wine, and had the consistency of a tempura batter. The fresh green beans were battered and fried in olive oil, then lightly salted. For the wine pairing I went with a Quinta de Azevedo Vinho Verde. When I see fried food on the menu, I immediately think of something with effervescence to help cleanse the palate. Salt requires effervescence, sweetness or acid. Vinho Verde fits the bill on most counts. It isn't sweet, but there is an amount of fruitiness, that lends itself to the flavor of the green beans. Our hosts added one more appetizer a couple days before I went out to purchase the wine. The addition was Camarao com Piri Piri (Grilled Shrimp with hot sauce). While the Vinho Verde worked with the shrimp, the hot sauce really required something with some more residual sugar. The Piri Piri (hot sauce) was made with olive oil, garlic and hot peppers, that had soaked together for a week. While many turn their nose up at Lancer's Rose, it really worked well with this dish. Lancer's is made with a blend of grapes (Aragones, Syrah, Touriga Nacional, Castelao, and Trincadeira). Lancer's is a slightly sparking wine and slightly sweet. I would say it is the "original" white Zinfandel. The next course was Canja (a traditional Chicken soup with Basmati rice, lemon juice and mint). The one thing I can say about Portuguese food, is that it is pretty simple. Not too many ingredients, and not terribly complicated. This dish was a perfect example of what can be done with only seven ingredients, to create a wonderful dish. While the dish was easy, the wine pairing was a challenge. I always try to stay within the region. But, finding light red wines, or hardier white wines at our local wine shops presented a challenge. So, I focused on a Portuguese beer, only to find the store I drove to was out of it. I had to break the region "rule" and went with a white wine from the Galicia region of Spain. I paired this with Vina Godeyal Valdcorras (the grape is Godello). This actually worked nicely. Our main course was Costeletas de Carneiro Escondidinho (Lamb Chops with a Port, Cream and Mustard Sauce), served with fingerling potatoes and carrots. This was a hearty dish, and called for a full bodied red wine. I found two wines that met our needs. The Abriza Alentejo 2009 was made in more of a new world style (a bit more ripe red fruit than the second wine). The second wine was a Quinta do Cruto Duoro Riserva 2009 (made with traditional Port grapes, but not in a fortified, or sweet style). Both wines were opened more than an hour before dinner, and allowed to aerate a bit. Lamb is one of those wonderful meats that just pairs so well with red full bodied red wines, and this was no exception. The Port, mustard cream sauce was a beautiful addition. The final course was a dessert course of Delicia de Laranja (Orange Cake). When pairing wine with desserts, always make sure your wine is sweeter than the dessert. The simple choice would have been a Port, but red port is pretty heavy, and this cake was fairly light. White Port is hard to find in our area, so I went off the coast of Portugal, to Madiera. The island is a Portuguese archipelago located about 250 miles off the coast of Portugal. I chose Blandy's 10 Year Old Malmsey. This "cooked" wine has a wonderful sweetness, with raisin and caramel notes, that worked with the baked orange cake. My hope is that by reading this easy Portuguese wine dinner, you too will create a regional wine pairing dinner. If you do, please share your menu in the comments section. If you need help with a pairing, contact your local Sommelier, wine shop, or send me an e-mail. Last week, I wrote about the Wine Century Club. Since then, I have had a number of people contact me about how to get started. It is actually pretty easy. Download their list of grapes, and start trying wines that contain those grapes. Okay….maybe it isn’t that easy. You really need some background, preferably through wine classes, or local wine tasting clubs. While we are seeing more and more unusual, or forgotten, grapes in the United States, the Old World still has the lock on the availability. This week, I am conducting a wine tasting of Italian wines. As the president and Sommelier for the Arrowhead Wine Enthusiasts, I get to choose the wines to serve. Italy offers a never ending supply of forgotten grapes. 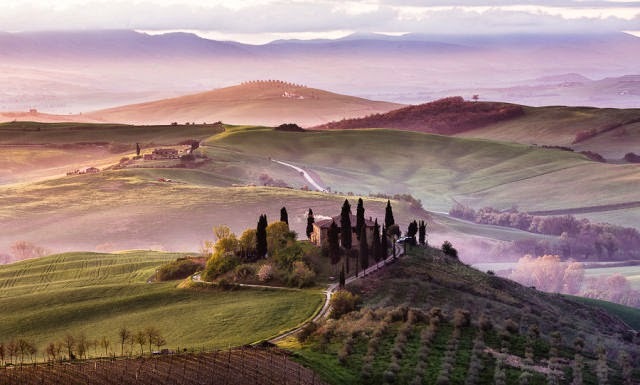 Before it was known as Italy, the country was known as Oenotria (due to its’ abundant vineyards). Many of those grapes were brought to the region by the ancient Greeks, and the mysterious Etruscan people (thought to be the refuges of the fallen city of Troy). There are literally thousands of grape varieties in Italy, but Italy's Ministry of Agriculture and Forestry, has only documented a bit over 350 grapes and granted them "authorized" status. With DOC and DOCG regulations, only a handful of grapes are really known by most wine drinkers. Chianti (Sangiovese), Barolo (Nebbiolo) and Soave (Garganega) are probably the best known. So, when it comes to Italian wine tastings, the door is open…as long as I can find the wines (not easy). This week, I was lucky. While I still have the “standard” Barolo, I was able to find some less common wines. Italy isn’t really known for its white wines, other than Pinto Grigio or Soave, but that might be changing. The first wine in my tasting is Cherchi Pigalva Vermentino di Sardegna 2013. This white wine from the island of Sardegna is 100% Vermentino. 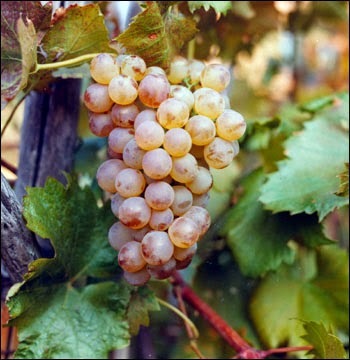 The color is straw yellow and has aromas of apple and white flower. It is dry and has moderate plus acidity. The second wine is La Ginestraia Pigato Riviera Ligure di Ponente 2013. The white wine is from the Liguria region and is 100% Pigato. This is where things get interesting! If you check Jancis Robinson’s reference book, “Wine Grapes”, you’ll find that DNA evidence now shows that Pigato and Vermentino are the same grape. And for those registering their tastings for membership in the Wine Century Club, they are listed as separate grapes. Tasting them side by side, they do taste different. Pigato has more pear, apricot and hazelnut aromas. Is it the terroir or they just different expressions of the same grape? There is no argument about two of the red wine choices. For the first red, I am serving a Rubino Oltreme Susumaniello Salento IGT Rosso 2012. This wine is produced from 100% Susumaniello, and is grown exclusively in the southern region of Puglia. 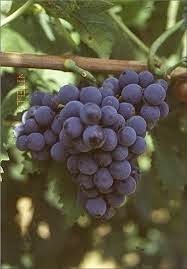 Susumaniello has most commonly been used as a blending grape for the better known grape of Puglia: Negroamaro. The wine is ruby red, and has aromas of red fruit: cherry,raspberry and red plum. The tannins can sometimes be a bit rough, but this version has soft tannins, and is fairly elegant. The second red wine is Corte alla Flora Pugnitello Toscana 2011. This Tuscan wine is 100% Pugnitello. Since Tuscany is home to the famous Chianti wines, which are made from the Sangiovese grape, it is no surprise that Pugnitello was long thought to be a clone of Sangiovese or Montepulciano, but recent DNA analysis has shown that the grape is its’ own variety. This grape was almost lost, but in the 1980’s, “rescuers” saved the variety, and in 1993, the first barrels of 100% Pugnitello where produced. 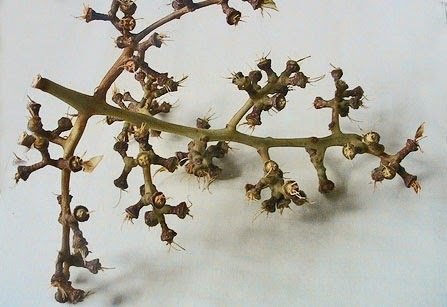 Historical evidence suggests that the grapes name comes from the Italian word for “fist” (pugno), the shape of the grape clusters. The wine is deeply colored, with aromas of rich fruit: black cherry, prune, cranberry and hints of clove and tobacco. To finish the tasting, I do have to bring in one of my favorite Italian wines, Barolo. The last wine is an Oddero Barolo 2009. I have written about the Nebbiolo grape in the past, so won’t spend time recapping it here. With a simple five wine, Italian tasting, we have covered five (if you count Nebbiolo) “forgotten” grapes. When you add these to your Wine Century Club list, you will be well on your way to reaching 100 grape varieties. And, hopefully you will find a new variety that will become a favorite.